PERFORMANCE, RELIABILITY DRIVEN BY ADVANCED TECHNOLOGY. The ever increasing quality and expectations of today’s anglers, coupled with constant demands for more responsive and precise products has resulted in Tri-Cast satisfying all of these requirements with our continual ongoing design and development programmes. In 2017 / 18 , we can offer you not only an outstanding choice of products which are of the highest quality and performance, but each offering exceptional value for money, without compromising any of the key Tri-Cast fundamentals of Innovation, Design Excellence, Quality and Performance. So we welcome you to join us and view our truly dedicated Fishing Tackle Website. Please browse at your leisure our full and comprehensive award winning range along with many new items for the forthcoming season. By using the very latest and finest quality Carbon Fibre Materials throughout the whole range, together with specially selected toughened Resins Systems normally used only in our aerospace applications, we feel we have delivered again the highest quality, performing products in today’s Angling market place. 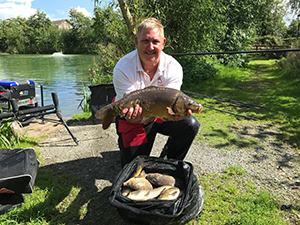 We have taken a huge step forward this year by taking on one of the best , if not the best match angler in the country, to be part of our Angling Consultant Team. We have welcomed on board ANDY BENNETT. 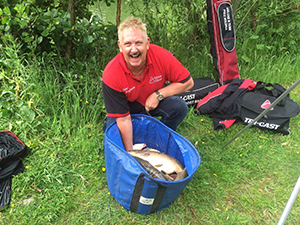 His record in angling over the past few years has surpassed all others and is the most respected angler on today’s match circuit. His input into products will be vital in taking us to the next level. Check out our Flagship Pole, THE EXCELLENCE PRO. The EXCELLENCE PRO comes with an even bigger and better spares package than we have ever offered before. Also new for this year is the all new TROPHY X – TYPE – 80. This pole is made on the same mandrill as the Excellence Pro and again has a massive spares package, but uses a slightly different Carbon and Resin, with the fibres been woven at a different angle. These poles are made using two new Carbon Cloths and infused Resins, but by using all new mandrels and Production processes we have improved many aspects of our previous award winning poles of 2015. Lighter, Stiffer, better Balanced and much more Responsive without forgoing the inbuilt renowned Strength of Tri-Cast, these new poles will be a market leaders for years to come. But do not overlook the other pole in our amazing range. The award winning pole of 2015, THE VENOM PRO, winner of the best pole under £1000. Alongside these new Poles we have our amazing Margin Pole, the very best ever to hit the British market place. The TRILOGY 2 POWER MARGIN not only beats all others it leaves them years behind. The most expensive but the best never is cheap. When you weigh up all its qualities you will understand just what great value for money this margin pole is. It is now that good at 9mtrs we are able to offer not 1 but 2 parallel extensions to take it over 12mtrs. Strength to handle anything you hook into with lightness and balance that is just beyond belief. Not only tried and tested for the last 2 seasons but has won every award going for best Margin Pole. A proven winner. Not to be outshone by any of the above poles, we are proud to include our Long Competition Whip. The TRILOGY 8mtr Whip gives the angler unrivalled performance, plus ultimate lightness and balance. 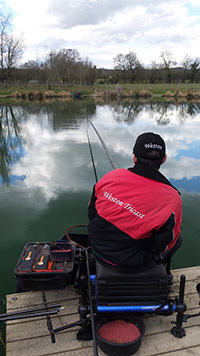 When it comes to Rods Tri-Cast have both an envied, and proven, reputation for designing and manufacturing the ultimate in Match and Feeder rods. We have this year maintained this position by including a number of Rods for the 2017 / 18 season using the latest design and materials technology. These advancements have enabled us to make even further technological and design advancements that have given these new rods unrivalled performance and actions. We recommend that you consider our new TRILOGY COMMERCIAL Match and Feeder Rod ranges, purely dedicated to the commercial angler who requires the very best and specifically designed rods for their style of fishing. Launch last autumn these rods are that good they won best Commercial Rod range of the year and their popularity is growing at an alarming rate. Alongside these new rods we have our other award winning ranges of match and feeder rods to suit all types of fishing and venues etc. The build quality of all our products makes us market leaders in our rod ranges which are perfectly made to suit our styles of fishing. Take a very close look at our new TRILOGY LONG RANGE FEEDER RODS which enables anglers to cast even greater distances yet still maintain the action required for hooking and playing fish of all sizes. To run alongside these we also have launch a specific river feeder rod for fishing large rivers even when swollen with flood water. THE TRILOGY HEAVY RIVER FEEDER will be a sure fire winner and perfect to be used abroad in Ireland and Holland. For the angler who is looking for high Quality accessories to compliment his equipment, we have several products to our accessories range. To our existing Landing net handle range, we have added a new super slim and light VENOM POWER Handle, which will run alongside the very popular and proven XRS EASY REACH range of handles. This VENOM POWER handle is at 1.70mtrs long and is perfect for speed netting when fishing shallow for F1s etc. and if any extra length is required there is a 1.2mtr Extension available. We have included a DOUBLE COCOON HARDCASE HOLDALL. Designed to keep your ready made up rods safe and at a length of 190cm. It is long enough to accommodate most rods. To enhance our comprehensive luggage range we have also added a larger EVA sealed net bag which is capable of holding 3 of even the largest keep nets. Other brand new items for this season is our CARRYALL 8 TO 10 TUBE DELUXE MATCH HOLDALL, A 60 LITRE MATCH plus our all new LARGE POLE ROLLER / ROOST BAG. See full details on our luggage page. Over the past decade we have seen such a massive resurgence in the popularity of TRI-CAST FISHING PRODUCTS and we wish to thank all the anglers for their loyal support. 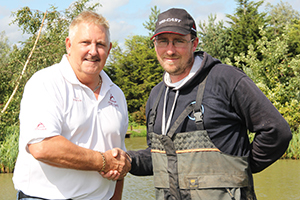 We feel that our incredible improvements in our range has now been fully appreciated and anglers can now see that TRI-CAST have their finger firmly on the pulse when it comes to British anglers. 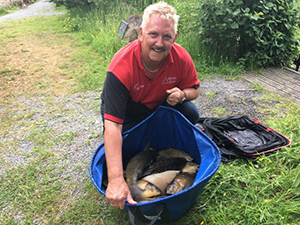 A British Firm with British consultants and Teams that ensure we keep one step ahead and give you, the British Angler just the equipment you require. We hope you enjoy our dedicated Fishing Website which has been put together to keep you informed of all our range and product specifications, it will be updated with any news and product information that comes along. If you require any further information or have any questions then please feel free to contact us at any time where our experienced team will only be too pleased to assist you.